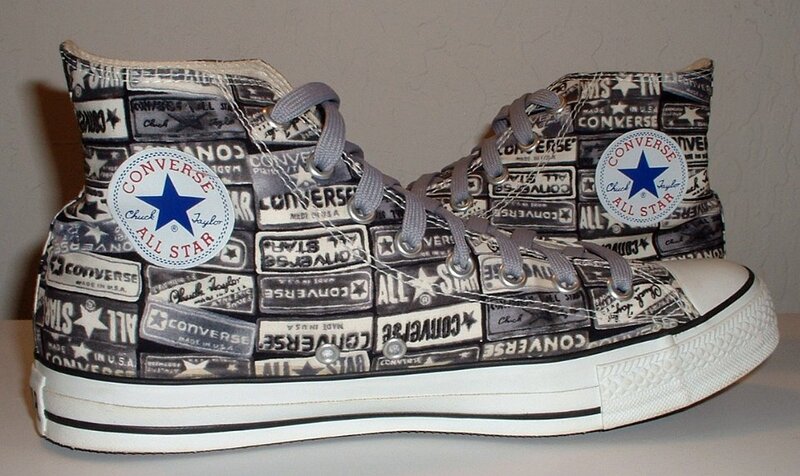 Photo gallery of high top chucks with a heel patch design print. 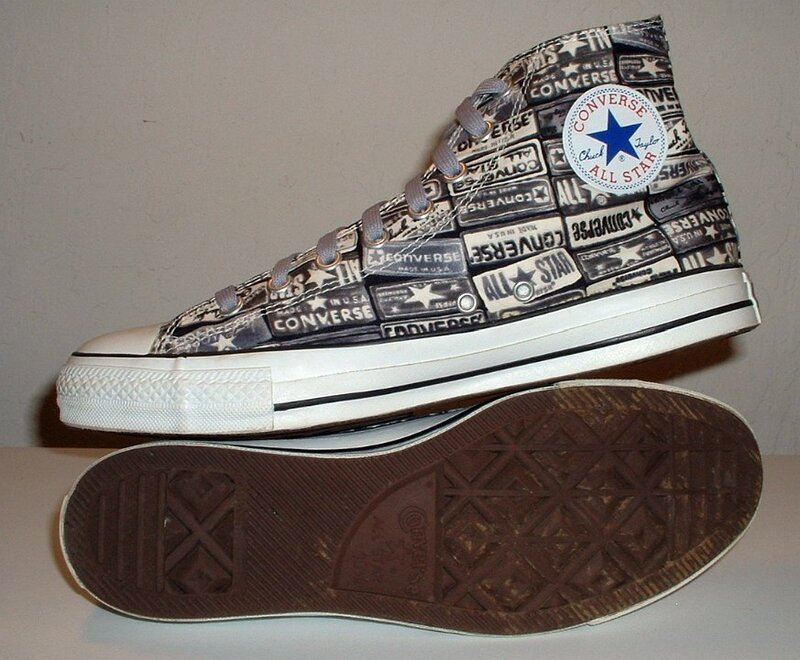 1 Heel Patch Print High Top Chucks Inside patch view of a left black and white heel patch print high top with gray shoelaces. 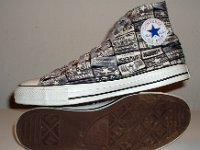 2 Heel Patch Print High Top Chucks Outside view of a left black and white heel patch print high top with gray shoelaces. 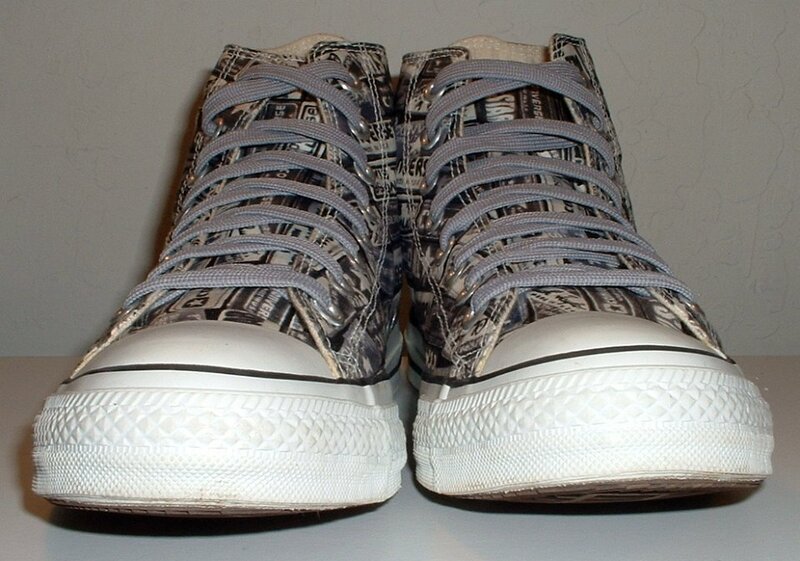 3 Heel Patch Print High Top Chucks Inside patch view of a right black and white heel patch print high top with gray shoelaces. 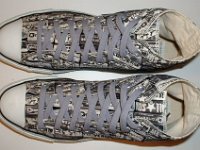 4 Heel Patch Print High Top Chucks Outside view of a right black and white heel patch print high top with gray shoelaces. 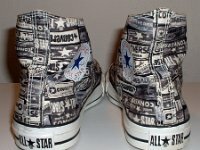 5 Heel Patch Print High Top Chucks Rear view of black and white heel patch print high tops. 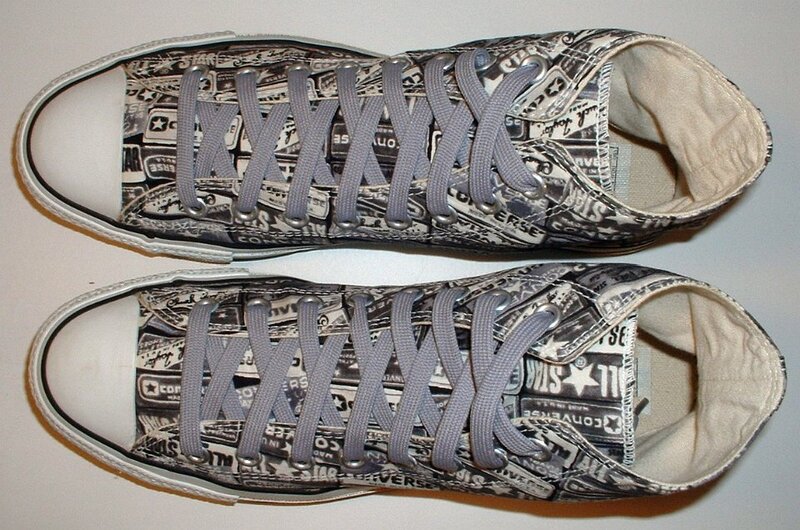 6 Heel Patch Print High Top Chucks Front view of black and white heel patch print high tops with gray shoelaces. 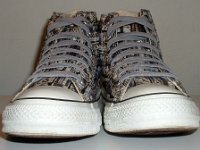 7 Heel Patch Print High Top Chucks Angled side view of black and white heel patch print high tops with gray shoelaces. 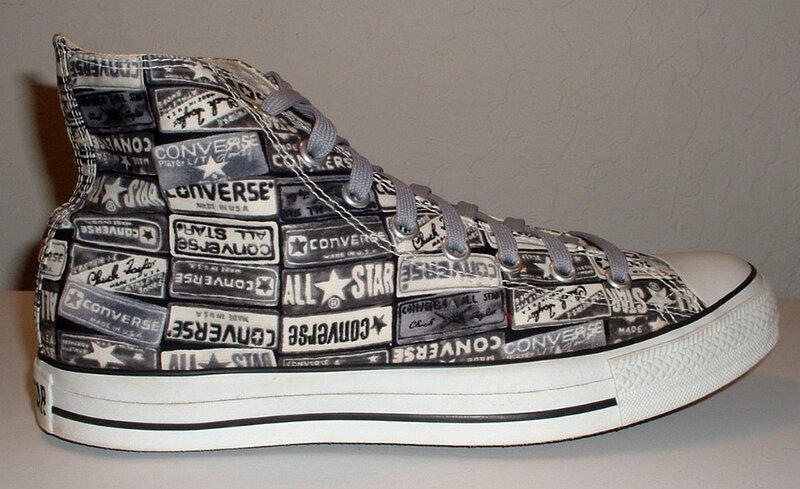 8 Heel Patch Print High Top Chucks Top view of black and white heel patch print high tops with gray shoelaces. 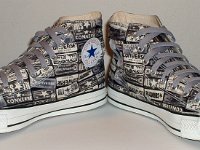 9 Heel Patch Print High Top Chucks Inside patch views of black and white heel patch print high tops with gray shoelaces. 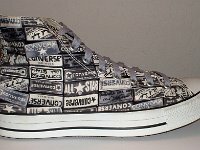 10 Heel Patch Print High Top Chucks Angled front views of black and white heel patch print high tops with gray shoelaces. 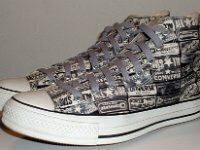 11 Heel Patch Print High Top Chucks Inside patch and sole views of black and white heel patch print high tops with gray shoelaces. 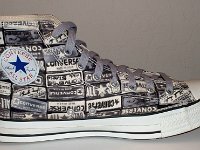 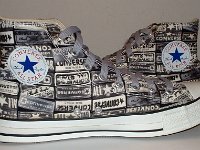 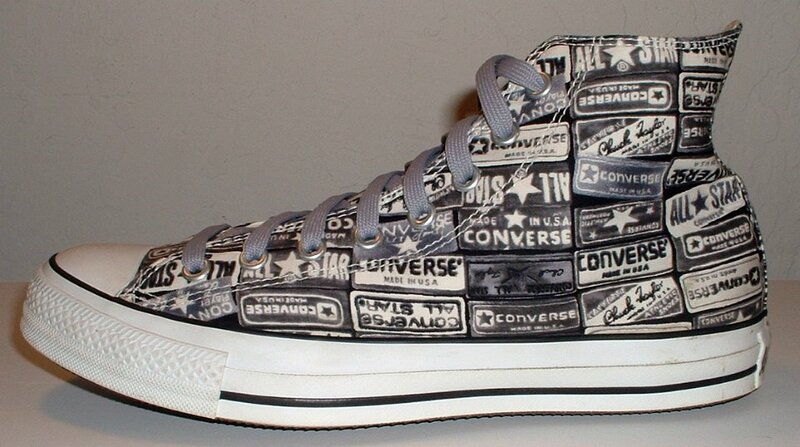 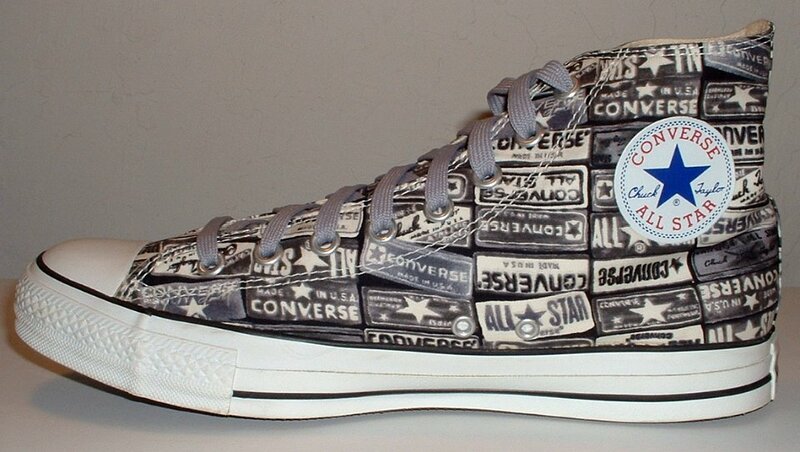 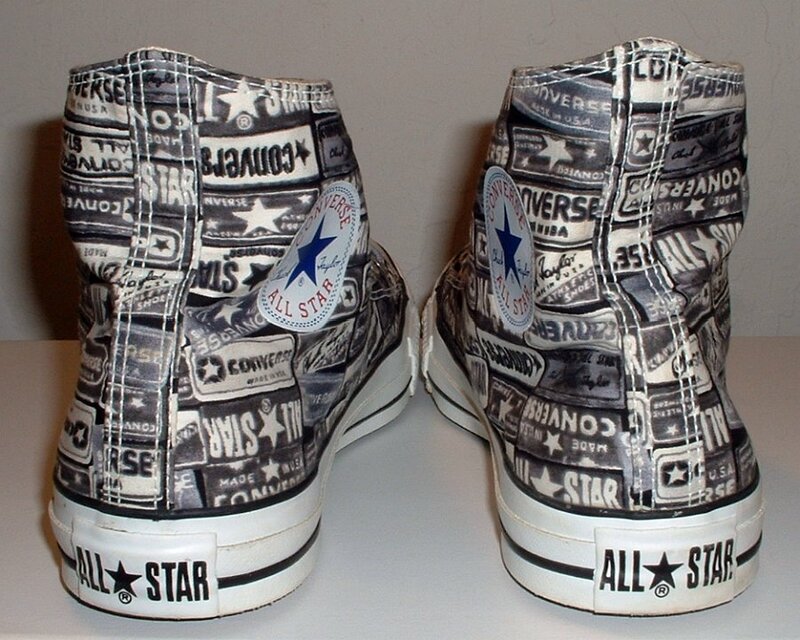 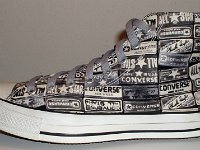 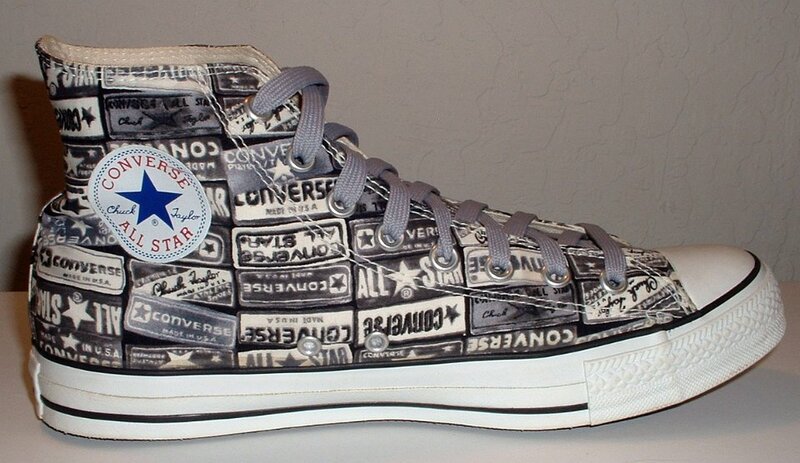 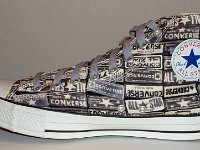 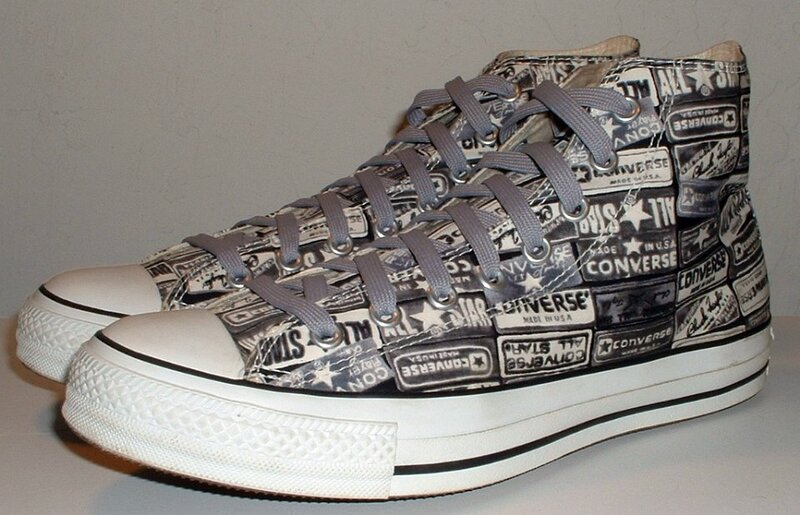 These heel patch print high tops feature various heel patch and license plate logos that have been used on Chuck Taylor shoes over the years.